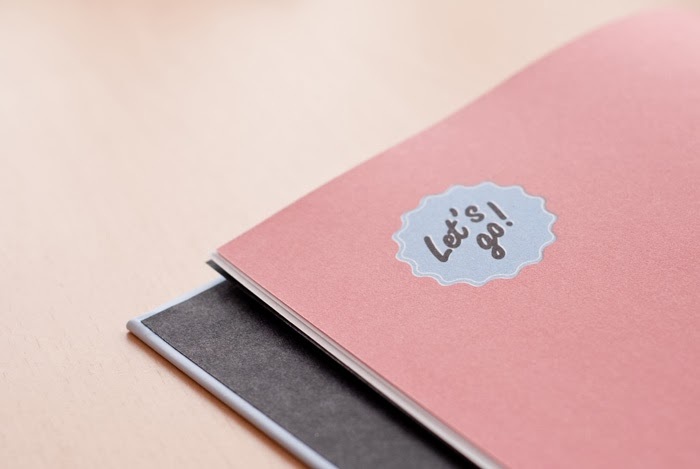 As I told you before, lettering is something I really want to invest in this year. With that in mind I decided I needed new books on the subject, and any reason is a good one to buy books, right? A few days ago, as I was searching through Amazon and Book Depository, I somehow laid my eyes on this beauty and I experienced love at first sight. I ordered it the same day and counted the days till it arrived (13 days). I decided to present it to you because it deserves all the recognition it can get. 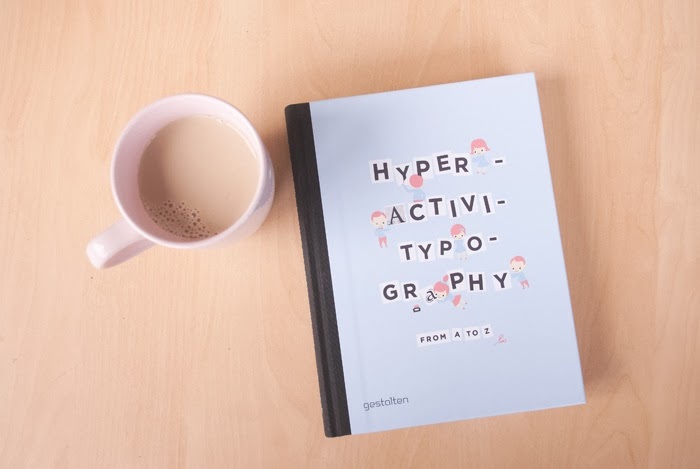 I can say that Hyperactivitypography from A to Z is an exercise book that at a first look may seem targeted for children buy is in fact a great tool for typography beginners as it takes a serious and clever yet fun look at this very complex subject. My love began with the cover, pretty colour put together beautifully and the cutest characters interacting with the title. In terms of dimension, the book is a little smaller than I was expecting (16cm x 21cm / 196 pages), I thought it was a big table book and was very pleased to discover it fit my bag perfectly, which makes perfect sense since it's an exercise book. 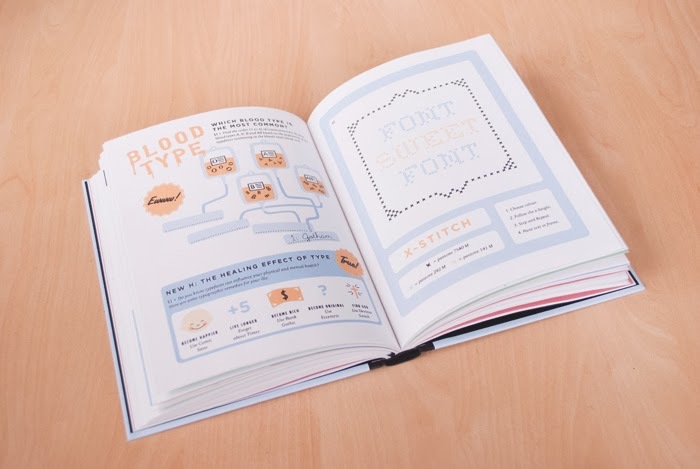 The book is filled with typography themed jokes that are funny and clever. 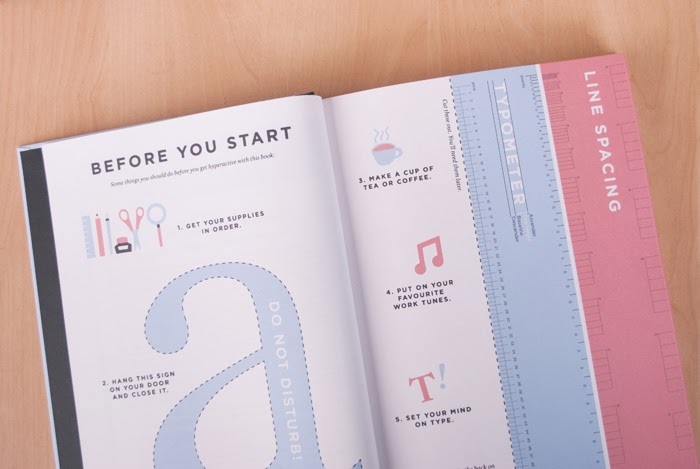 I was browsing through it and found myself smiling, which trust me, as never happened before while reading about typography. 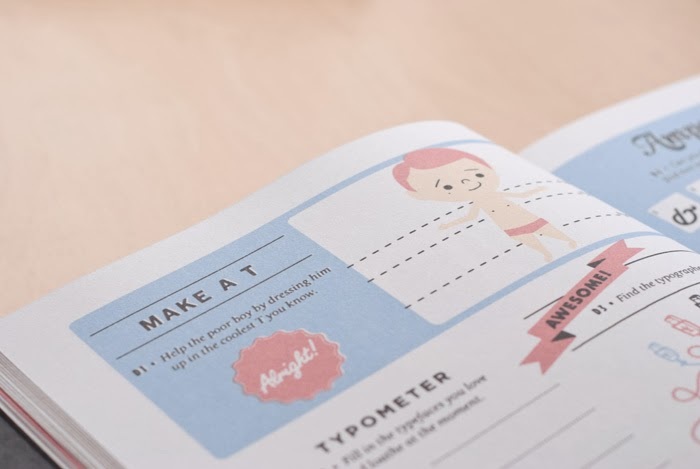 Before you start reading there are two pages with instructions on how to use the book, the supplies you need (pen, ruler, scissors...) and there's also a typometer - a ruler to measure fonts - and a ruler to measure line spacing. To me, these are more like a curious addition than a helpful tool, as I will not cut them out. 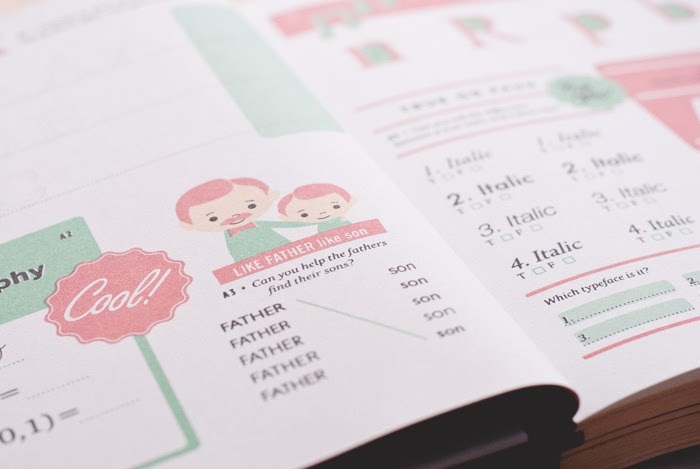 The book is divided into 28 chapters - 26 themes where each name starts with one letter of the alphabet, another one with the answers to the exercises and a final one to practice what you learn. The next images are from different chapters. 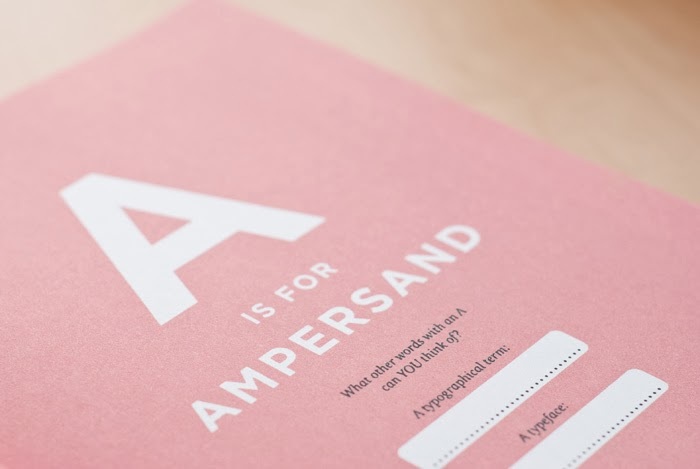 One of the details that I love is the colour palette used. 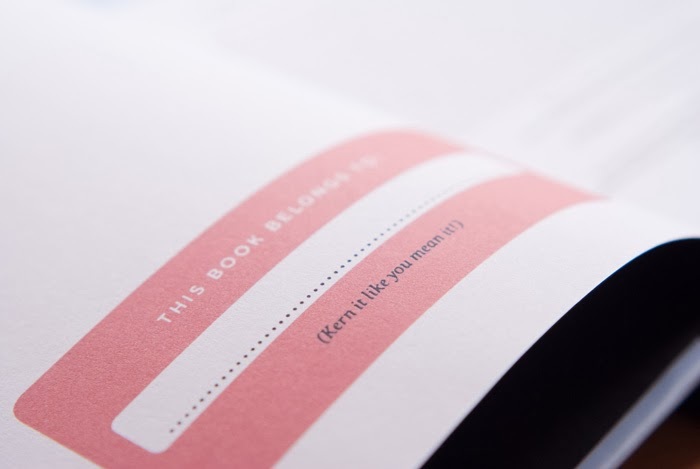 The book is printed with only 5 colours (cream, pink, blue, green and orange) and each chapter uses only three of them, and the scheme changes in each chapter. To me, the most difficult exercises are the ones where you need to writes the names of the fonts used in the text which tells me I need to work on that. 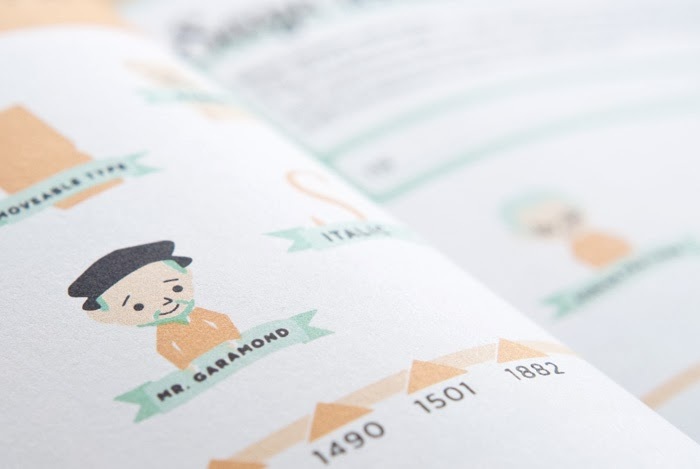 Have you seen Mr. Garamond up there? 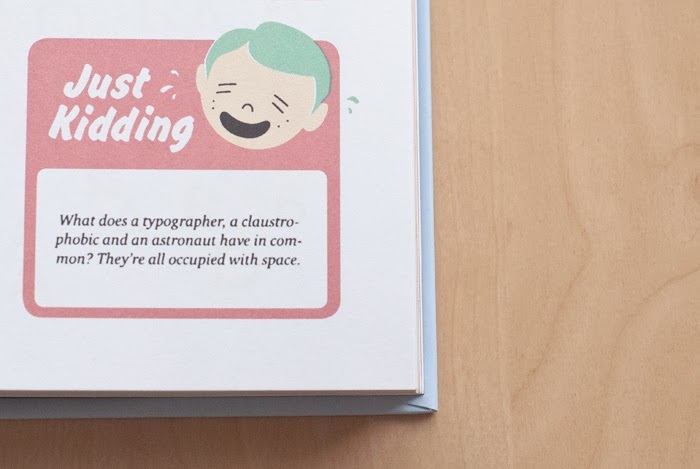 Definitely one of my favorite details on the book are the illustrations of the typographers! One last thing you might be asking is "how can you write on such a lovely piece?" and the answer is I'm not, how could I? It was never my intention. So, that's it! Are you buying it already? Ahhh isto parece-me um máximo! Eu adorava ter algum jeitinho para a coisa - e isto ia ser um máximo!